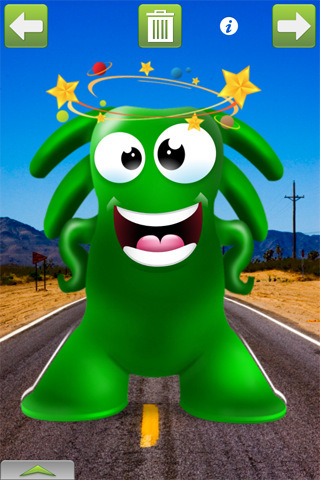 Introducing Monster Studio-recently appeared product on the Apple App Store. Monster Studio developed by Appdicted is a perfect app giving children and adults ability to create custom monsters. The app contains over 100 monster parts, bodies, eyes, mouths, accessories to choose from and 21 backgrounds. Besides, you can also use your own photo as the background. 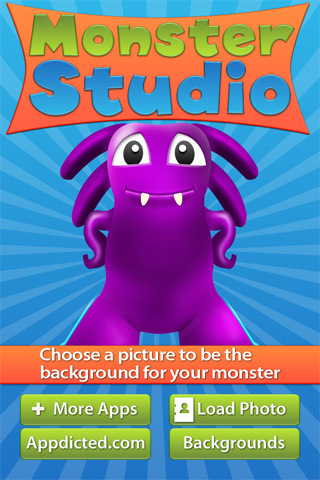 Take a picture with the camera on your iPhone or iPod touch and then add a monster to that photo. You are able to turn yourself into a monster by uploading you photo. All graphics are high quality and produce monsters worthy of movies and comic books. When you’ll accomplish your creation it can be shared on Facebook and Twitter. Monster Studio 1.1 is priced at only $0.99 (USD) and available worldwide exclusively through the App Store in the Entertainment category.